Please remember in your prayers Fr James Conway SJ who professed his Final Vows at the Church of the Immaculate Conception, Farm St, on Friday 8th June - feast of the Most Sacred Heart of Jesus. Final vows are traditionally made on a feast of particular significance to Jesuits. Devotion to the most Sacred Heart of Jesus was originally championed by the Jesuit Saint Claude La Colombiere. 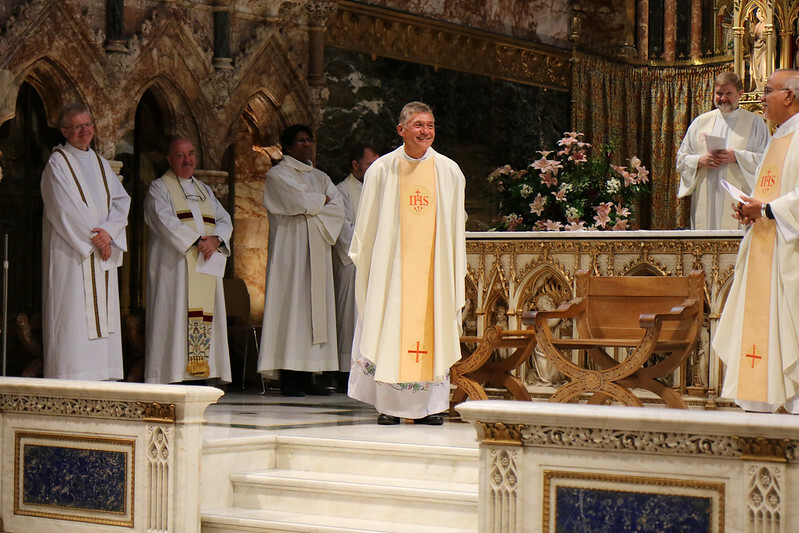 In his note to the order of service, Fr James thanked all his Jesuit brothers, family and friends, and all the people who have supported him both in Britain and Guyana.